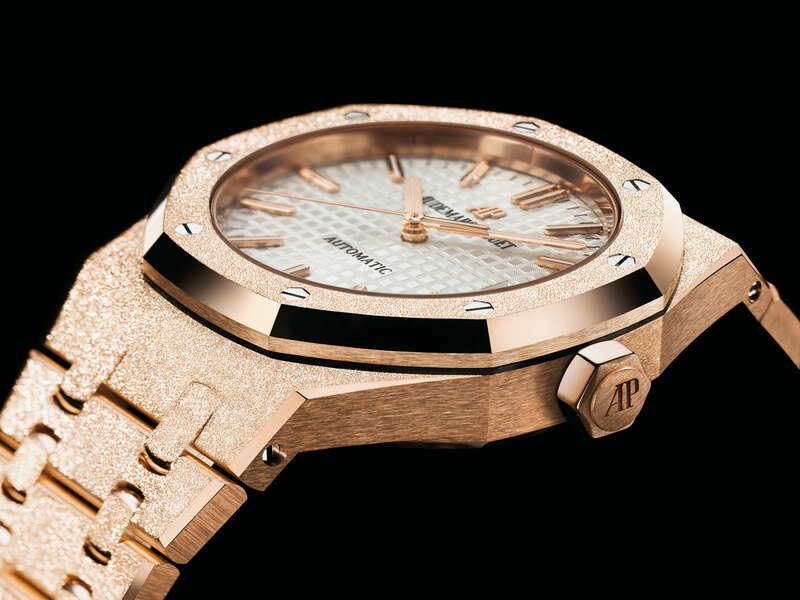 The ladies’ Royal Oak marks its 40th year in 2016 with the Royal Oak Frosted Gold, giving the signature Audemars Piguet wristwatch a new surface finish for the first time. 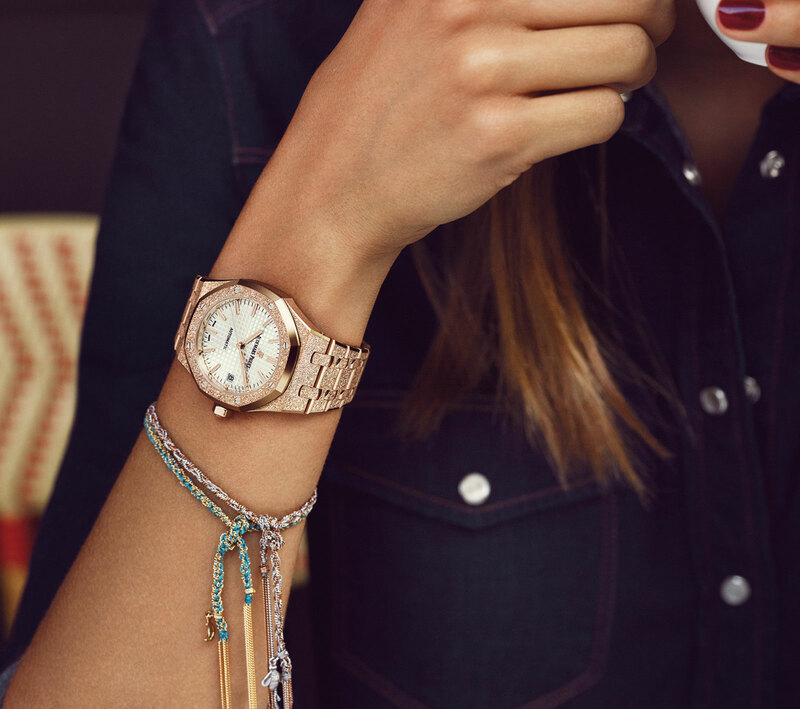 Working with Italian jewellery designer Carolina Bucci, Audemars Piguet adopted a decorative technique from Florentine jewellery for the new Royal Oak, giving it a finely hammered surface. 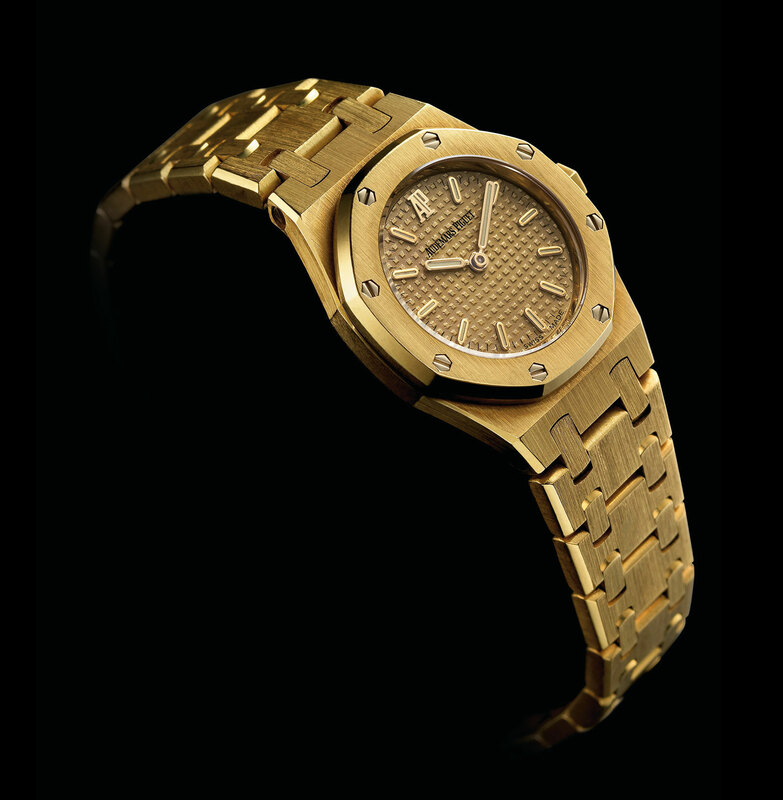 Originally designed in 1976 by Jacqueline Dimier, the Royal Oak for women was an evolution of the original Royal Oak ref. 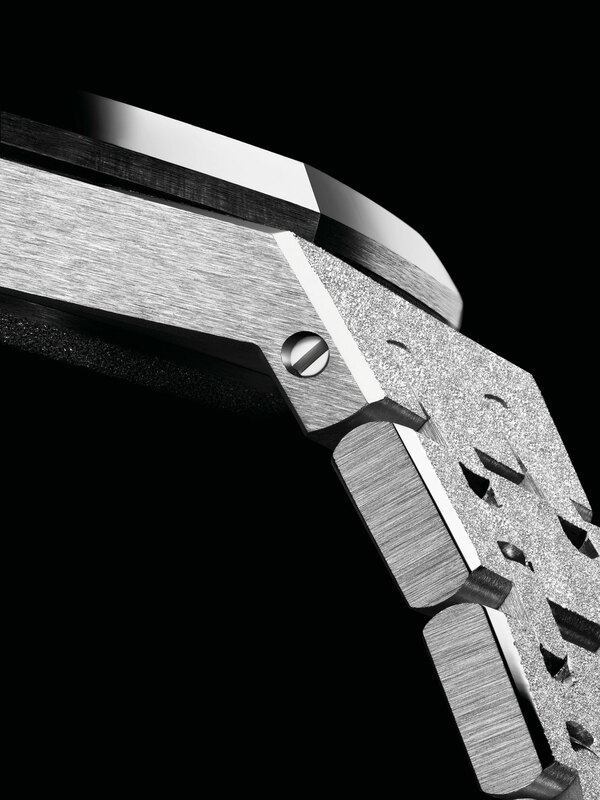 5402 designed by Gerald Genta in 1972. 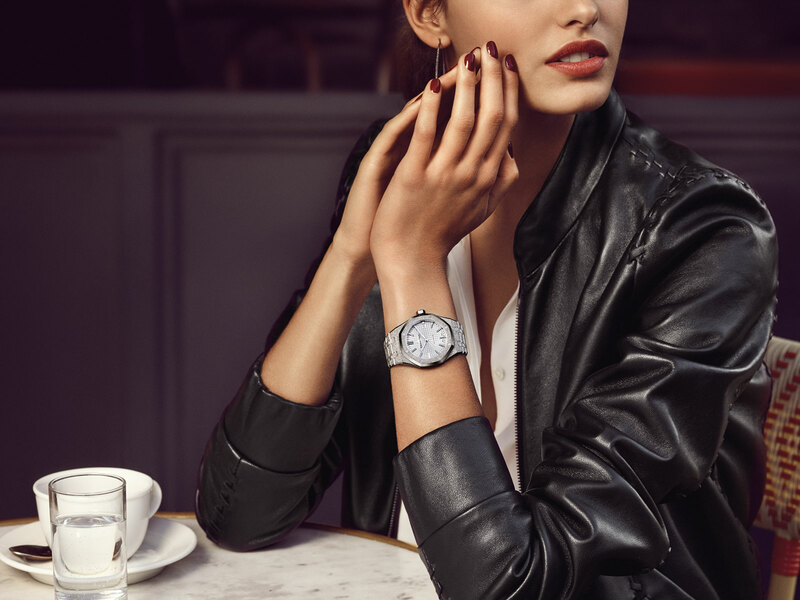 Compact and dainty but resolutely octagonal, the ladies’ Royal Oak is transformed with the Florentine finish. 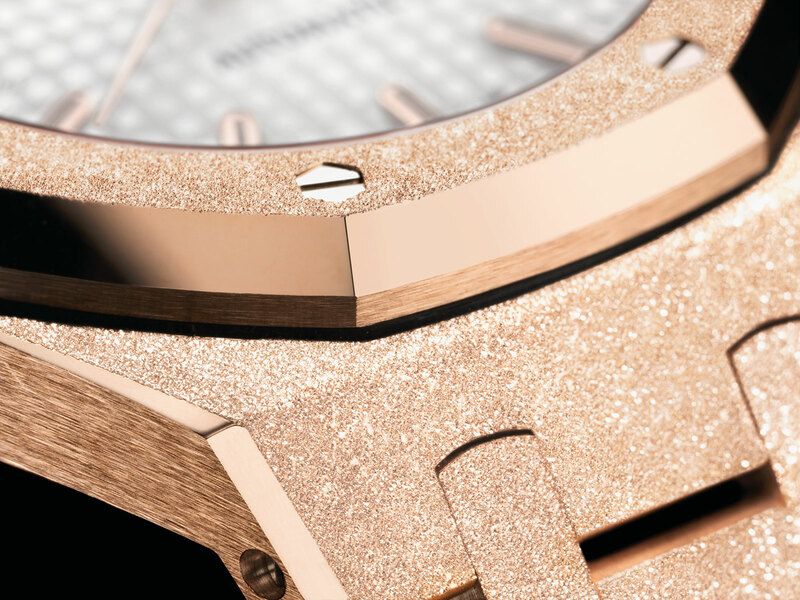 Instead of the traditional straight grained, brushed finish applied to all flat surfaces of the watch case and bracelet, the Royal Oak Frosted Gold is treated with a diamond-tipped tool. Used to repeatedly dig into the surface of the gold, the tool creates tiny dimples, creating a textured surface that sparkles in the light. The Florentine finish is usually found on small pieces of jewellery, often used by Carolina Bucci on her creations. 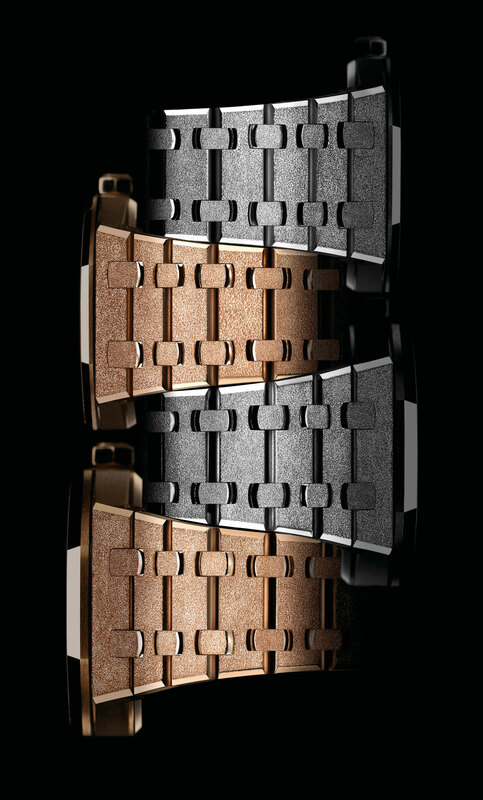 Repurposing the technique for serial production of the Royal Oak Frosted Gold took several months, especially when it came to perfecting the finish of the bracelet while retaining its flexility. 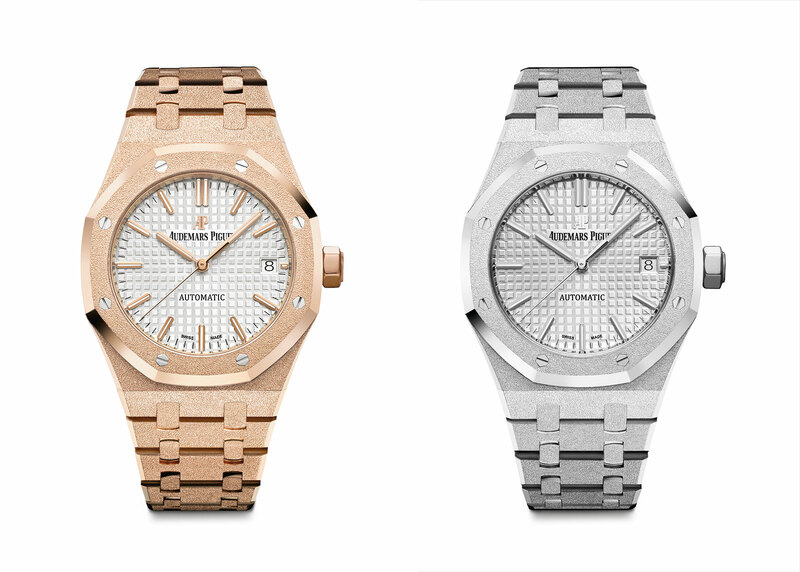 The Royal Oak Frosted Gold is available in white or rose gold. 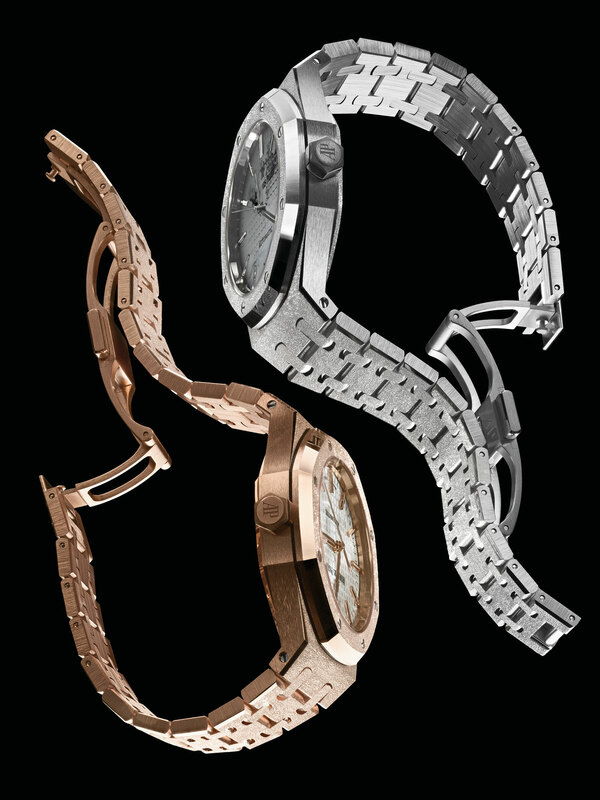 Both versions are offered either as a 37mm automatic powered by the in-house calibre 3120, or a 33mm watch with a quartz movement. 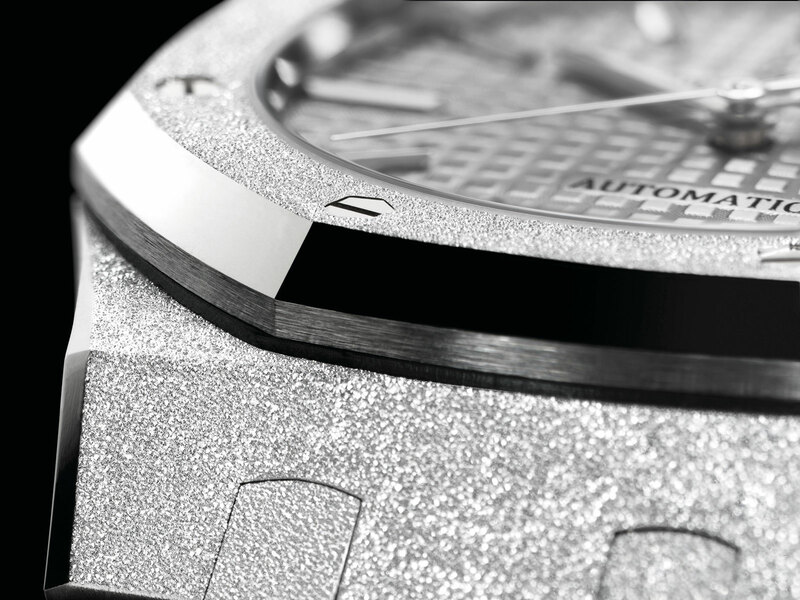 The Royal Oak Concept Tourbillon Chronograph is old school ostentation.